It feels a little odd to celebrate with cookouts and fun activities a day put aside to honor those who gave their lives to keep us free. Shouldn’t we act more somber in respect for the sorrow of their families and the loss of those precious spirits from this Earth? 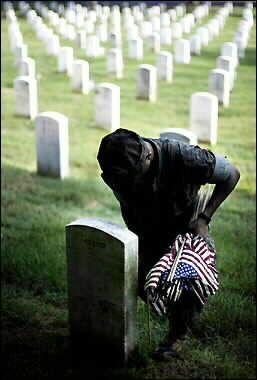 I think many Americans do show their respect and gratitude for the fallen even days before Memorial Day by placing flags on the graves of those who served in the military, especially in Arlington Cemetery. 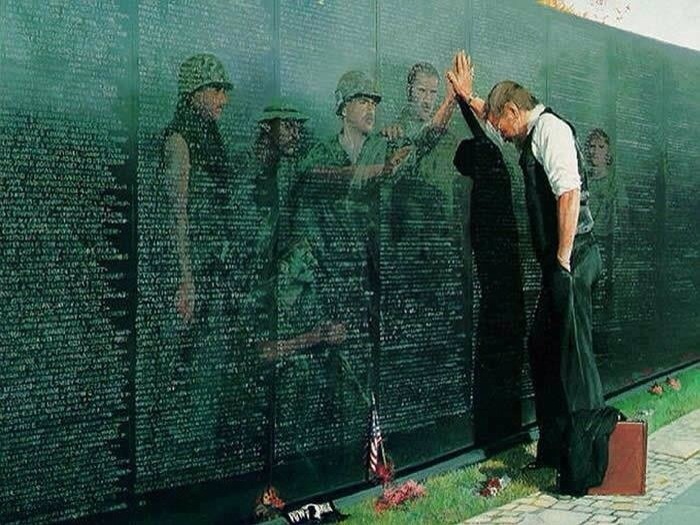 Many people visit the Vietnam Wall where the names of the fallen are etched to be remembered for all time. In Pearl Harbor where so many died in a surprise attack from Japan that brought the United States into World War II, many people visit the USS Arizona Memorial which rests above the war ship Arizona where the crew was trapped and died during the attack. 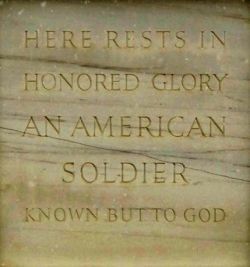 There is a ceremony every Memorial Day in which the president of the United States lays a wreath on the Tomb of the Unknown Soldier. 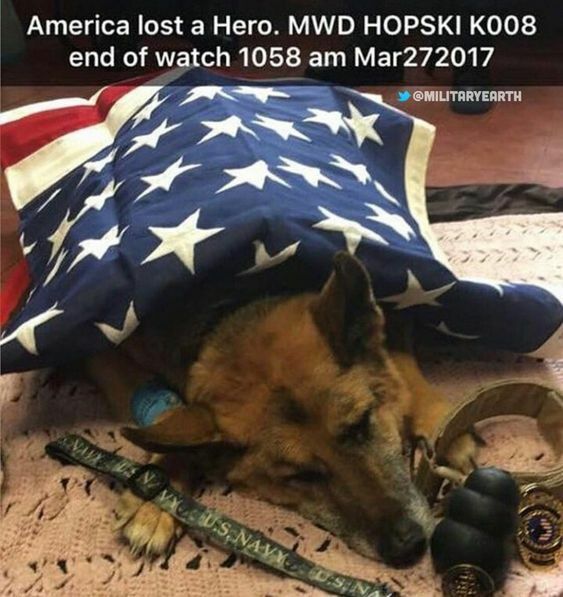 Is it frivolous and disrespectful for us to celebrate the sacrifice of so many brave soldiers with laughter and fun activities? 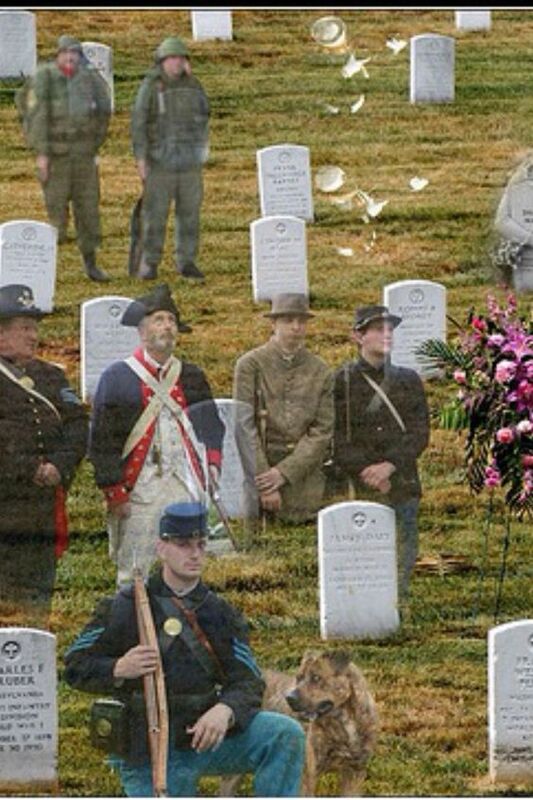 I feel it is part of the way in which we honor and show our gratitude because, we are free. Because we are not suppressed or denied freedom we can pursue those things that make us happy. 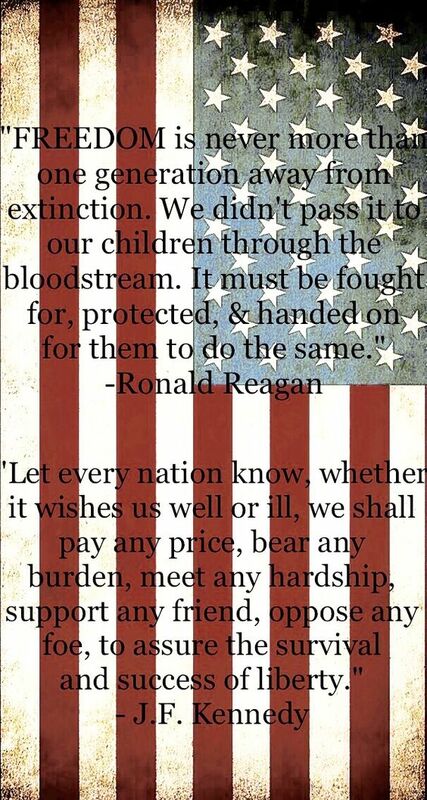 These words are in the preamble of our Declaration of Independence and, thanks to the bravery of those who served and sacrificed, we still have the freedom to pursue our happiness. Later today my family is having a cookout (it’s also a birthday party for my great-niece, Madeline) and we’re gonna get some happiness under way. But this morning I am quietly showing my respect and gratitude by writing a prayer and lighting a candle. 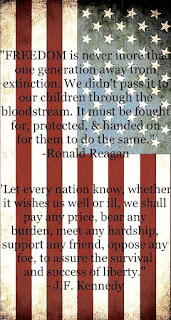 I wish everyone a safe and happy Memorial Day. Two years ago on Thanksgiving day the family was at my house cooking our festive Thanksgiving meal. We were almost ready except for the mashed potatoes. My niece, Betsy, put the potatoes on to boil while we finished up a game of Parcheesi. (Board games are just part of our tradition on holidays. We had just gotten into our game when we heard a loud crack and looked at the stove to see the bright flash of an electric arc leap up from the burner under the potatoes to the ventilation hood over the stove. Water poured from the pot where the arc had made a hole in my heavy duty steel pot. We all scrambled to the stove grabbing tea towels and the mop while my nephew, Matthew, took the pot off the stove and carried it to the sink. In an insane moment I thought I could save those potatoes, but as Betsy pointed out, a film of metallic gray floated on the top of the water. I knew that old 1957 cook top wouldn’t last forever, but gee whiz, did it have to go out with all that drama on Thanksgiving Day? 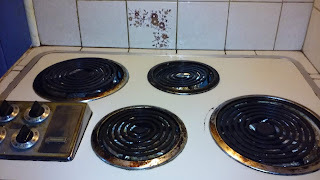 For the next two years I kept thinking I would get a new stove top and repair the electrical connection. Every time I thought I could get it done, something more urgent would come up and the money for the stove had to be used. I cooked everything on one burner for so long I was really getting used to it. At least I still had my 1957 wall oven and casseroles can come in mighty handy. 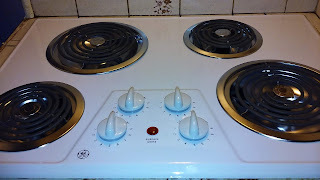 Finally, this year when I got my income tax return I had the money to get my stove top and have an electrician repair the electric outlet to it. I want to say here that the hickory tree in the back yard decided to die all of a sudden, but I was determined the stove was going to come first this time. I marked down to Lowe’s and bought my new stove top. They had to special order it because it is white instead of the stainless steel everyone is buying now so it took three weeks for it to arrive. I called the electrician my faithful plumber recommended and, voila!, my new stove top in up and running. I no longer have to cook just one thing at a time. I hardly know how to act. 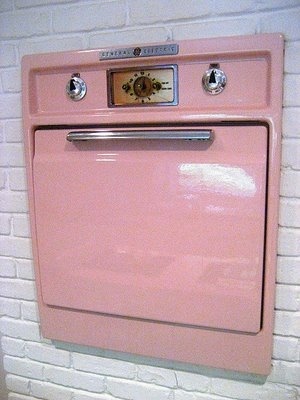 The 1957 pink wall oven original to the house, is still working and I hope it keeps on working for a while longer because I still have that hickory tree to remove. Maybe I should have them cut and stack the wood so I can burn it in case the oven goes out. Anyway, I’m glad things are almost normal at the house again. It’s nice to own a home, but there is always something that has to be fixed or replaced. Someday I may even get to do some kind of beautification project or renovation…maybe. 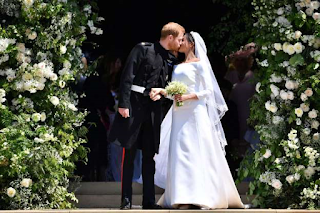 I’ve been thinking about how Harry and Meghan met and how they fell in love for their mutual passion to do good in the world. I thought about my own passion for preserving our planet and the living creatures on it. 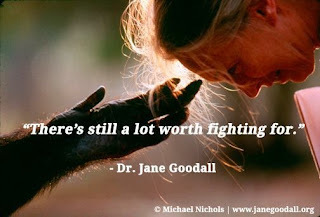 Some of you may already know my number one hero is Jane Goodall. She, too is fighting to save our planet and defend the wild things that live on it. I want to follow her example and do what I can to make Earth a peaceful, harmonious place where all living things can thrive and be happy. Dr. Goodall stopped eating meat when she realized the pain and suffering of animals that lived a life of misery before they were slaughtered for food. While I don’t believe I can give up dairy products and eggs yet, I believe I want to become vegetarian. I may not be able to accomplish my goal, but I do want to put some effort into changing my life for the betterment of the planet. I use reusable bags when I shop and I no longer use straws and other plastics as much as I can. The worst is Styrofoam and it’s hard to avoid because of take-out and eggs and it’s still used to pack certain electronics and such. Still, I can write to companies and ask them to find other reusable or biodegradable materials to pack items. Meghan, now Duchess of Sussex, wrote a single letter to a company about their sexist advertisement and that company changed that advertisement. Meghan was just twelve years old when she wrote that letter, but what an inspiration for us that she got them to make a change. In my life, I do what I can as well. I detest cruelty and so I sign petitions, write comments to lawmakers and companies to change their policies. While I realize my impact alone may not bring about a change, I can join others and we can fight together for change. What are you passionate about? 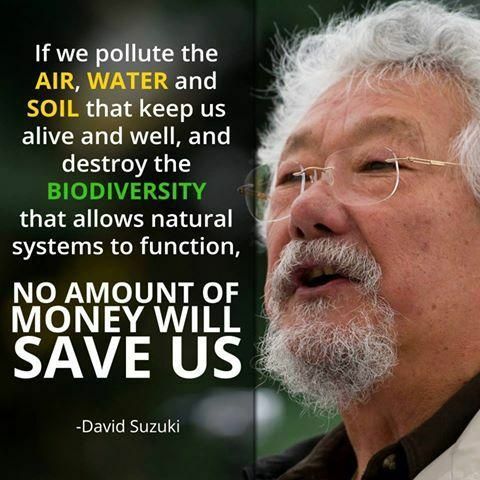 What do you do to fight for change? 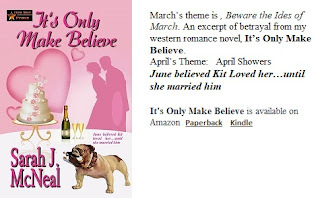 It's Only Make Believe #BlogABookScene May Theme: Mayday! Mayday! 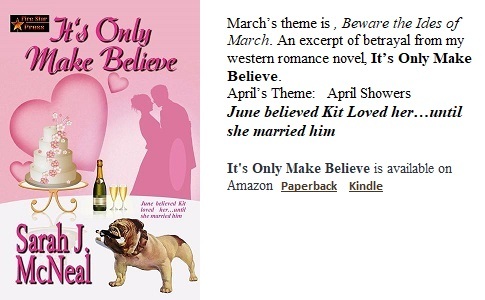 The following is a harrowing Mayday excerpt from my book, IT'S ONLY MAKE BELIEVE. Kit had a hell of a time keeping the old Jeep on the road. Knowing how bad a driver June was only made him speed up more to get to her before something awful happened. The old dirt road had become a slick mud slide. He couldn’t allow himself to imagine how June even made it this far without sliding off the road. With his attention on navigating the road, Kit glanced along the ditches that ran on both sides. The ditches were supposed to provide proper drainage in weather like this, but clearly, they did not. He strained his eyes as he searched for signs of June’s car. God, please keep my June safe until I can get to her. After what seemed an eternity, Kit approached the bridge. His heart throbbed in his chest with gratitude when he saw in the glow of his headlights several trucks and the taillights of two horse trailers along with his brothers and cousin gathered at the entrance to the bridge. Hank and Sam along with their cousin, Kyle, were already there and unloading the horses. Panic sent sparks of adrenaline through his body and made Kit’s hands shake. “You found her? Where the hell is she, then?” A vision of a lifeless body tried to pry its way into his mind, but he pushed it back, willing June to be alive. “Come with me, Kit.” Kit’s heart raced in his chest as he hurried to follow Sam onto the old wooden bridge that connected the land on both sides of the Wind River. With the truck lights shining on the scene, Kit saw the bridge had chunks of the boards missing on its deck. Halfway across, he saw the side rails broken with a wide gap. And right in the middle of the gap he saw June’s car, hanging precariously off the side of the bridge. Mother of God! Labels: AUTHOR SARAH J. MCNEAL, Danger, IT'S ONLY MAKE BELIEVE, Mayday!Mayday!